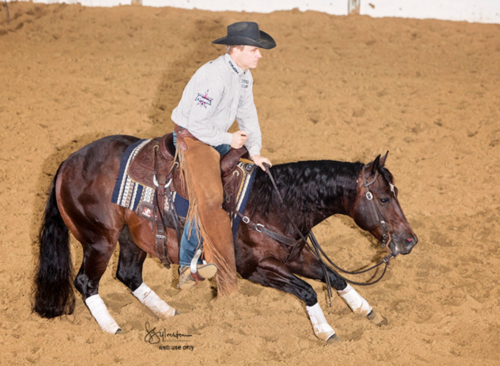 We were thrilled to see Beau Galyean reap success at the recent Bonanza Cutting on a High Brow Cat. He rode Cheshire The Cat to the 4-Year-Old Open Reserve Championship recently and picked up nearly $28,000 for it! The pretty bay horse is out of the great mare Autumn Boon, by Dual Pep, and is owned by Jeff Neidhard of Farmington, Utah.